Why do I love to work in a coworking space in New York City ? Well, a coworking space is a great place to build and meet a community of startups, freelancers, entrepreneurs and more. Complimentary hot beverage such as coffee and tea and fountain water. Thanks to Beewake, you will find affordable coworking space nyc, especially when you get a coworking space nyc day pass, an easy way to discover a coworking space where you will be able to work for a couple of hours or the entire day. 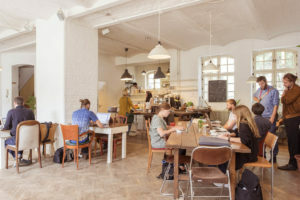 A shared office space is always a great workspace in New York whether you need to work in Midtown Manhattan, Downtown, Upper East Side or Upper West Side with so many coworking benefits. And we can also help you to get the best we work office space and we work space in New York City, we will assist you the find your ideal workspace for 1 or more. When you need help finding your next office space, or community workspace, the Beewake team will be here to assist you !